Anyway, that's the pic and I admit I rather want the Hansel and Gretel dolls. Which I think have already come and gone so I am probably out of luck except for some crazy eBay pricing. The sets, if you couldn't figure them out, are Little Red Riding Hood and the Wolf, Cinderella and Prince Charming, Alice and the Mad Hatter (fairy tale? not really!) and the aforementioned Hansel and Gretel. I have never been much of a doll person, but I do have an old Heidi doll by Madame Alexander given to me by my grandmother--the same one who nurtured my love of Beauty and the Beast--which she chose for me for obvious reasons. And, come to think of it, the Hansel and Gretel resemble my Heidi doll which is why they must appeal to me. Besides, it's just rare to see Hansel and Gretel themed toys. It’s another Monday in the world of Pet Society, and that means that a new item theme has been unleashed in the game’s many stores. This week, we take a trip to the world of princes and monsters – it’s Fairytale Week! The theme starts in the game’s Gardening Shop, where you’ll find all sorts of architectural details like arches and waterfalls, that would look perfect as part of a Princess’s castle, or just as nice decorations if you happen to have an outdoor garden, or classical theme celebrating an era gone by. Next, in the game’s Mystery Shop, you can pick up a Fairy Tale Mystery Box, either by its lonesome for 6 Playfish Cash, or in groups of 5 or 13 boxes for 24 and 60 Playfish Cash, respectively. These boxes contain bundles of Fairytale clothing items, with five different options being available to receive at random. So I decided to talk about another Snow White variant: Gold-Tree and Silver-Tree. It, too, appears in my new book Sleeping Beauties: Sleeping Beauty and Snow White Tales From Around the World . You can read the tale in Celtic Fairy Tales by Joseph Jacobs at Gold-Tree and Silver-Tree. Or you can read a summary at Wikipedia. This tale isn't as obvious a variant of Snow White, but most of the standard elements are there. What's more unusual is that it is a Scottish tale, closely related to a very old French one. Another interesting variant, Gold-Tree and Silver-Tree, comes from Scotland. In this tale, the mother seeks to kill her beautiful daughter. The father deceives his wife and sends his daughter to another king to be married. Despite these precautions, the mother murders her but her devoted husband refuses to bury her. Eventually he marries again and his second wife revives the first wife. She offers to leave but the king chooses to keep both wives who become friends. 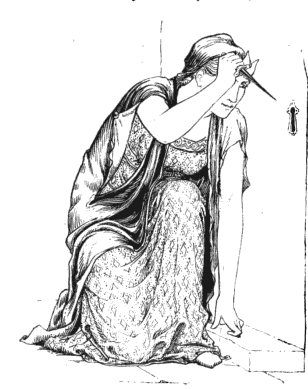 The second wife later kills the wicked mother during another murder attempt. Then the king and his two wives live happily ever after together. Since polygamy wasn’t common in Scottish history, scholars speculate that the tale traveled there from a country in which the practice was more accepted. This Scottish tale bears a strong resemblance to The Lay of Eliduc by Marie de France first recorded in the late 12th century. The lay is a Christianized version of the story with Eliduc as the king. In this version he doesn’t keep both wives. His first wife enters a nunnery instead of living in a plural marriage. Eventually Eliduc and his beloved wife enter into holy orders, too. At first reading, the lay appears unrelated to the version of the tale that is so well-loved today, but its relationship to the less popular variants is obvious upon closer inspection. An article discussing The Lay of Eliduc, Gold-Tree and Silver-Tree and Snow White by Alfred Nutt also appears in my book along with the full lay of Marie de France, of course. (You can see the entire table of contents here.) It's an old article, but interesting. I am fascinated with early folklore and fairy tale scholarship myself and admire Nutt, Jacobs, Lang and so many others who didn't have nearly as much work to build upon as we do today. Finally, Gold-Tree and Silver-Tree is one of my favorite Snow Whites. While variants of the tale are about women's jealousies, this version also includes a generous, resourceful woman who saves the day, too. It is also a little shocking with its touch of polygamy but that makes it feel even more ancient and from a different place. No, Scotland is not known for its polygamy tales, so that this one appears there makes one wonder about its full origins. The first illustration is by Barbara Brown and came from Cambridge Print and Book Gallery. 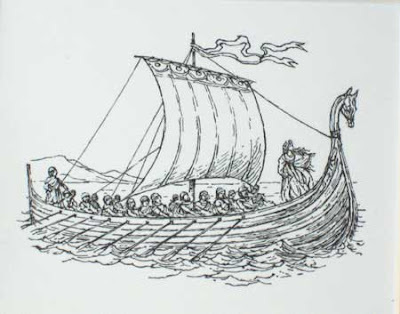 The other two are by John Batten for Celtic Fairy Tales by Joseph Jacobs. Goblin Market by Christina Rossetti is a new release from Dover Books. Of course, this is an old text, easily found on the internet to read, but the book does what Dover does best, offers reproductions of Arthur Rackham's illustrations for the story. This lovely hardcover gift edition of Christina Rossetti's most famous poem will enchant readers of all ages. A captivating adventure into a land of fantasy for children and a sensual allegory of temptation, sacrifice, and salvation for adults, it features 4 color and 20 black-and-white images by Arthur Rackham as well as a reproduction of a rare Rackham watercolor. So, if you love Rackham and Goblin Market, this is the book for you. You can read more about Goblin Market itself on Wikipedia, of course, where links to the story are also available. While researching for Sleeping Beauties: Sleeping Beauty and Snow White Tales From Around the World , I read about many, many variants of both Snow White and Sleeping Beauty. Snow White ended up being much more interesting than I anticipated, since I've made no secret of my previous lack of favoritism for the tale. Editing this book changed my mind. Snow White may not be my favorite fairy tale yet but I actually enjoy it now, unlike I did before this past year when I merely tolerated it and admittedly avoided it as much as possible. One of the tales which swayed me is "The Unnatural Mother and the Girl With a Star on Her Forehead" from Mozambique. This was perhaps the spunkiest of all the Snow Whites although there were some strong ones in the mix despite expectations. In this one, the Snow White character faces her mother (not a stepmother in this one) at the celebratory banquet at the end of the tale. She then describes her horrific experiences at the hands of her mother, who is even feeling somewhat ashamed. She gave him a certain sum of money with which to procure another wife, and he settled in her village. Usually the new husband metes out the punishment in the Snow White tales, but in this one he refuses and Snow White takes matters into her own hands. Obviously the story isn't as old as other variants with the inclusion of the gun, but it is a fascinating variation of a tale, an uncommon variation at that. On the other hand, the tale is far from satisfying all the same since the mother was beginning to show remorse when she saw her daughter again--not that anything can excuse her previous horrible behavior. Still, the death by gunshot would have been much more understandable in another tale, "The Magic Mirror" from Romania, in which the mother kills her daughter's newborn babe, a permanent death that is not magically reversed. That was perhaps the most depressing Snow White tale for although most of the tales describe terrible murder attempts, it is far from a happy ending since there is a real, permanent loss of an innocent baby to overshadow the end. And that's just two of the 41 Snow White variants included in Sleeping Beauties: Sleeping Beauty and Snow White Tales From Around the World . Just a reminder that tomorrow is the last day to preregister for the American Folklore Society's annual meeting to be held in Nashville on October 13-16. You can register at the door after that date at a higher rate. To read more about it, visit the Annual Meeting Information page. And, once again, if anyone is interested in meeting for a meal or just to chat in between sessions, let me know. I also have lots of recommendation for visiting Nashville. Today is I am sharing two Frog Prince films by Lotte Reiniger, done decades apart and one in color, the other not. Which do you prefer? And a later one in color. Is it just me or are the black and whites somehow more magical? Although this one is quite excellent! Again, we can get Reiniger's The Adventures of Prince Achmed in North America. And the Lotte Reiniger - Fairy Tales [DVD]  pictured at the top of the post is available in the UK as a region 2 DVD. I am posting the Lotte Reiniger fairy tales courtesty of YouTube this week. Today is Snow White and Rose Red, such a nice, gentle tale for a Sunday. 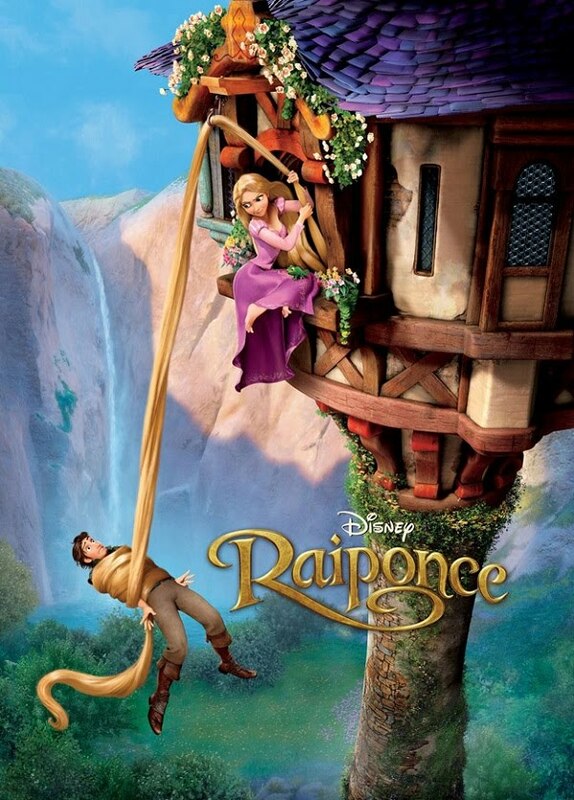 The French version poster for Disney's upcoming Tangled/Rapunzel movie. It does look yet again like this will be a visually lush movie. More posting of the Lotte Reiniger fairy tales courtesty of YouTube this week. Today is The Three Wishes, a lesser known tale so this one is even more special. I have more information Sleeping Beauties: Sleeping Beauty and Snow White Tales From Around the World (Amazon link) on the SurLaLune Press page. If you peek at the press page you will also see the list of upcoming titles that are planned for the SurLaLune book series through 2011. There are a few popular tales and a few surprises, too. The press section is under construction, but the preliminary book information for the four current titles is there now. Next week I will be talking about some of the surprises in the Sleeping Beauties book as well as some of the materials that didn't make it into the book, so stay tuned here. PLUS: $4.98 Poster Back to School Sale! Hurry, This Offer Ends Friday! *Promotion applies to order total before shipping and sales tax. This offer cannot be applied to previous or pending purchases. It cannot be combined with any other offers and discounts and does not apply to the purchase of gift certificates. One coupon per customer. Gift certificates may not be combined with this offer. Offer not valid on Thomas Kinkade Limited Editions. Art.com reserves the right to cancel any order due to unauthorized, altered, or ineligible use of discount. This offer expires August 27, 2010 11:59PM PST. 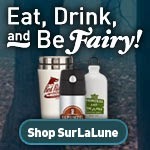 And, yes, SurLaLune is an Art.com affiliate so using the Art.com links provides a small kickback. Thanks! Sleeping Beauties: Sleeping Beauty and Snow White Tales From Around the World is now available on Amazon. It should begin appearing in other book retail sources over the next several weeks, at least as a special order. This one topped out at 507 pages, so it costs a little more and it is THICK. Here's the preliminary table of contents, including 11 Sleeping Beauty and 41 Snow White tales. Again, I am posting the Lotte Reiniger fairy tales courtesty of YouTube this week. Today is Cinderella. I really do love this silhouette animation. It captures my imagination better than so many other animations of these stories. The Hero with an African Face: Mythic Wisdom of Traditional Africa by Clyde W. Ford. I have been hunkered down with lots of work, but just rememebered a book that was discussed at Faerie Escape a few weeks ago. I'm not as astute in Joseph Campbell's philosophies since I work primarily with fairy tales instead of myths, but his work continues to be very influential as well as problematic in the world of folklore in general. This book helps fill in a few of the gaps from what I have been told and read, although I haven't read the book itself yet. It is now on my list though! I wanted to share it here before it fell off my radar again, at least for a while. In this remarkable book, Clyde Ford restores to us the lost treasure of African mythology, bringing to life the ancient tales and showing why they matter so much to us today. African myths convey the perennial wisdom of humanity: the creation of the world, the hero's journey, our relationship with nature, death, and resurrection. From the Ashanti comes the moving account of the grief-stricken Kwasi Benefo's journey to the underworld to seek his beloved wives. From Uganda we learn of the legendary Kintu, who won the love of a goddess and created a nation from a handful of isolated clans. The Congo's epic hero Mwindo is the sacred warrior who shows us the path each person must travel to discover his true destiny. These and other important African myths show us the history of African Americans in a new light--as a hero's journey, a courageous passage to a hard-won victory. The Hero with an African Face enriches us all by restoring this vital tradition to the world. Extending the sensibility of Joseph Campbell, Ford exposes readers to African myths and folk tales, finding that they harbor both culturally specific and universal motifs. Ford (Where Healing Waters Meet) has a diverse background in business, chiropractic, psychotherapy and African-American history. He recounts many traditional African stories, exploring their metaphors, symbols and archetypal figures, their answers to the timeless questions of how to live, how life began and how it will end. While these tales have been notoriously absent from world literature, they are strikingly similar to Eastern, Western and Middle-Eastern mythology in many ways. As Ford splices the myths with his engaging analyses of them, he illuminates universal themes and values, symbols and characters. Applying the hero's journey to the African diaspora ("the massive forceful displacement of millions of Africans"), he ruminates: "there is every reason to believe that African slaves... understood their capture and travails in just such mythic terms." Likely to find its way into college classrooms, Ford's comprehensive work supplies a missing piece of world mythology. So is anyone else familiar with this book? It has been highly recommended to me and I look forward to adding it to my library someday soon. I am posting the Lotte Reiniger fairy tales courtesty of YouTube this week. Today is Hansel and Gretel. And if you watch at least the beginning, the children get lost--they are not abandoned--after wandering too far despite their mother's warning. I will be sharing many Lotte Reiniger films over the next several days because I am feeling quite enchanted with them this week. However, I found this very short film by a student of Little Red Riding Hood and was very charmed, too, so I had to share it. I have waited for years for Lotte Reiniger Fairy Tales [DVD]  (Amazon UK link) to be released as a Region 1 release here in North America, but alas, I don't think it will ever happen. We can get The Adventures of Prince Achmed , but it's not what I really, really want. Thank goodness for YouTube helping to fill the gap a little.